Application deadline: 14 June 2019 (or earlier if the programme is full, therefore an early application is advised). Entry: Minimum of 2:1 honours or equivalent in a relevant discipline. International students, please note that UCL’s English language requirement for this programme is a ‘Good’ - further details regarding this can be found at the UCL English Language Requirements page. Notice: From the 2019/20 academic year onwards, this programme will no longer offer the ‘healthcare’ pathway. You can view the full selection of available pathways below. The MSc Entrepreneurship at UCL School of Management is designed for students who intend to start and run high impact, innovative businesses. Right from the start of the programme, you will learn the skills and gain the tools to start an innovative, high impact, new business. From the first few weeks, you will be interviewing prospective customers, learning how to do ‘rapid prototyping’, using the tools of ‘lean’ entrepreneurship, and pitching new ideas. 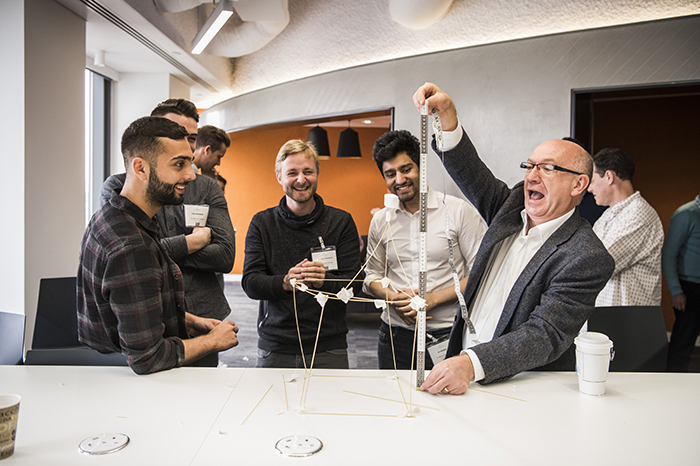 Using UCL’s networks and reputation as a starting point to access London’s thriving entrepreneurship scene, you will find or develop a founding team and learn how to raise investor finance, or ‘bootstrap’ your business. This programme was the first of its kind in Europe, for its single-minded focus on giving you the knowledge, skills, and network to start up a business successfully. We pride ourselves on our rate of successful start-up creation, and every year work to launch more successful start-ups. On this programme, you will find yourself among like-minded students who will be your allies during your studies – and in some cases, the co-founders with whom you will establish your future business. The latest rankings from the Complete University Guide place UCL School of Management 8th (out of 122) in the UK for Business and Management Studies. Specifically, the MSc Entrepreneurship programme achieved a 92% Overall Satisfaction score in the 2018 Postgraduate Taught Experience Survey (PTES). This is an exceptionally strong performance and reflects the outstanding quality of our teaching, culture, and facilities. Wishes to start a business now. We can help you with the development of your idea and introduce you to the London business community. Wishes to start a business at a later date, possibly in your home country if a foreign student. We can teach you the skills of researching and developing business ideas. If you are not looking to start you own business, you may be better considering our MSc Management programme. It is possible to take the programme over two years. For 2018/19, around 20% of students are part-time, which has allowed them to continue working whilst studying. This MSc is heavily over–subscribed each year and has limited spaces available. You are advised to apply early. The MSc Entrepreneurship was formerly called MSc Technology Entrepreneurship. The name change has reflected the fact that technology is now a feature of almost every start-up business. The programme content remains the same. The course is taught with a ‘learn by doing’ approach. While, like any UCL Masters degree, a rigorous base of research underlies the programme, the emphasis is on supporting students to develop the skills needed to succeed as CEO and/or co-founder of a high impact, innovative business. Modules are academically testing, require essays and reading key texts, and two of the eight modules include an end-of-year examination. However, all coursework is intended to give students an opportunity to develop a start-up, and most of the teaching is collaborative, experiential and driven by ‘build measure learn’ cycles where students take action, analyse, and reflect on the effects caused by that action, and decide on the next action to take. 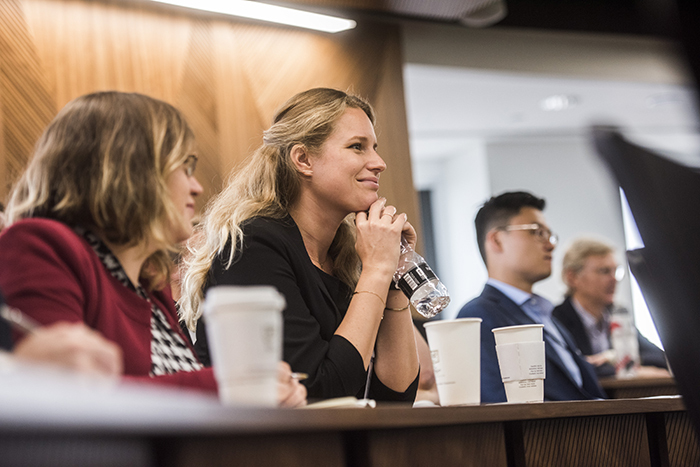 The MSc Entrepreneurship teaching team is made up entirely of faculty with experience both of academia and of the world of industry and entrepreneurship, including several active venture capitalists and investors. Several of the teaching team have created and very successfully exited from start-ups. As a team, we take enormous pride in our programme and the world-class standard of teaching we offer to aspiring entrepreneurs. In the 2018 PTES survey, 98% of our students agreed with the statement ‘Staff are enthusiastic about what they are teaching’; and 96% with the statement ‘Staff are good at explaining things’. This high level of student satisfaction is partly down to our approach to classes. We discourage the use of laptops during lectures (unless specifically required for an exercise) as they are a known distraction to both the student and those seated adjacent. Instead we encourage students to fully engage is a ‘big conversation’ with their lecturer and fellow students. Prospective students should also be aware that we regard punctuality for lectures as critically important. Students are expected to be fully engaged in all their classes from the outset. Students are encouraged to work in a collaborative manner in a positive, friendly and dynamic environment. Additional training workshops, such as in presentation skills, are provided – the aim is to build up the skills and personal confidence of each student over the course of the year. See our YouTube channel for videos of our student pitching events. Throughout the programme, we build in opportunities to connect with experienced, highly engaged mentors who, like our teaching team, are seeking to share their experience and wisdom with the next generation of entrepreneurs. Students also have the ability to organise treks to visit other start-up ecosystems, which typically travel at the beginning of Term 3. Past treks have visited Berlin, Tel Aviv, and Silicon Valley. Please see our YouTube channel for videos of the trips. Students should note that a place on these Treks is not guaranteed, and we also cannot guarantee right of entry into the countries selected. Small grants are available for student organisers, but in most other cases the cost is entirely funded by the students themselves. Approximately 25% of students are from the UK (with a significant proportion part-time). Approximately 75% of students from the EU and the rest of the world. Ages range from 22 to 40+, with an average age of around 27. At present, 50% of our students are female. We are proud of this support for female entrepreneurship and have achieved this balance for 2018/19, a year ahead of expectations. This mix of age, experience, and cultures has proved to be extremely powerful in creating a positive working atmosphere, innovative teams, and life-long friendships. The ethos of our programme is one of helping students to achieve their highest potential during the year by offering positive encouragement and support. All students select one of three specialist pathways, aimed at giving domain-specific knowledge, networks, and skills. Fintech – for students with a background in the financial services industry and/or who intend to develop a fintech start-up, in the world’s financial and fintech capital. Retail and Consumer – for students who intend to develop consumer services and products in Europe’s leading capital of the fashion, design, video gaming, food, retail, advertising, media, education, publishing, music, and creative, industries. Technology – for students who intend to develop high impact services and products which take advantage of emerging technologies or emerging business models enabled by technology (such as platforms). Students select their chosen Pathway during Term 1, and it is taught in Term 2. Notice: From the 2019/20 academic year onwards, this programme will no longer offer the ‘healthcare’ pathway. In Term 3, and up to early September 2020, students will develop a dissertation project with a supervisor from the MSc Entrepreneurship teaching team. The project allows those who are starting up immediately to work full time on developing their start-up, and those who are not starting up immediately to conduct field, research-based, investigations of the desirability, feasibility, and viability, of a business opportunity. The dissertation project is documented in a 12,000 – 15,000 word report. Students take two modules per term (instead of four for full-time students). These modules are taught during the daytime on separate days of the week. Lecture times can vary between early morning, middle of the day, or late afternoon. The modules are taught in a specific order, with the pathway chosen in the second year. Students will need to have a level of work flexibility (if employed) in order to cope with the School’s timetable. The dissertation project is undertaken in Term 3 of the second year, hence there will be limited activity during Term 3 of the first year. Further details about part-time study are available on request. The UCL School of Management is located at Level 38, One Canada Square, Canary Wharf, London’s global business district. The above photo is one of the many exciting views from this prestigious location. The quality of our lecture theatres at Canary Wharf are outstanding and have been described by guests as some of the best in the UK. In addition, all facilities at our Bloomsbury campus will be available to students. Many networking and collaboration events, and some teaching will also take place in Bloomsbury, or at UCL Innovation & Enterprise facilities BASE KX, and IDEALondon in Shoreditch. London was recently identified as the third best city in the world in which to study by QS Top Universities on criteria such as student mix, quality of living, opportunities, and affordability. Each year we hold open evenings where prospective students can come and see our Canary Wharf campus, and meet some of the teaching team and current students. This programme is designed for entrepreneurs who wish to start their own business. It is not designed for students who wish to have a traditional management career with a large corporation. We require a minimum of an upper second-class Bachelor’s degree from a UK university, or an overseas qualification of an equivalent standard (see international students qualification equivalents). Demonstrated interest in pursuing an entrepreneurial venture or career and must have undertaken entrepreneurial activities, not simply aspire to entrepreneurship. Two years’ work experience, but this is not essential. Personal statements should be no longer than 1,500 words. If making references to businesses that have been started by the applicant, please include any relevant web links to it in the personal statement. Although not an entry requirement, we are particularly interested in applicants who are able to start a business in the UK at the end of the programme. We have incubator facilities and/or funding available to high quality start-ups at the end of the programme (subject to status). We are also open to applicants working in corporate innovation hubs/accelerators and intend to return to a career in this space. We are particularly keen to welcome students with a computer science background onto the programme, as historically students with these skillsets are valuable members of founding teams. Students who have studied computer science are not required to have any work experience before applying. UCL Admissions assess whether overseas degree qualifications fulfil the course requirements and they require a full application to be submitted with all relevant supporting documentation - such as degree transcripts and references - before they can make this assessment. All enquiries about submitted applications should be directed to the UCL Admissions Department, and not to UCL School of Management. UCL Admissions’ preferred method of communicating with applicants is by telephone using +44 (0)20 3108 7288 rather than by email. However, they can be emailed too: admissions@ucl.ac.uk. For funding information, please take a look at the UCL fees and funding pages. UCL also has guidance on how and when to pay fees. There is only one intake per year, which is in September at the beginning of the UCL academic year. In the first week, new students take part in a dynamic range of induction events. Unlike some UCL Masters degrees, we do not operate a January intake. Part-time students attend formal sessions at UCL just two half-days per week. Part-time students are able to learn and engage with the vibrant UCL entrepreneurship community whilst building a new venture or working. The Fulbright Commission Award for a US graduate student to study MSc Entrepreneurship. For further information, please see Fulbright US to UK. For UCL additional funding opportunities, please see scholarships and funding. Compete in the London Entrepreneurs Challenge, the China UK Challenge, and the Bright Ideas Award. Network across the UCL’s world-leading Faculties of Engineering, Arts & Humanities, Brain Sciences, Life Sciences, Medical Sciences and the Bartlett, UCL’s Faculty of the Built Environment, to find fellow entrepreneurs and potential collaborators and co-founders. Take part in the UCL Innovation & Enterprise Idea Accelerator. On graduation, many student start-ups continue their journey in the Hatchery. Others, at a stage where they have raised initial funding, continue at BASE KX, or IDEALondon, within UCL Innovation & Enterprise, or at Seedcamp, Techstars, Barclays Techstars, or Wayra outside it. 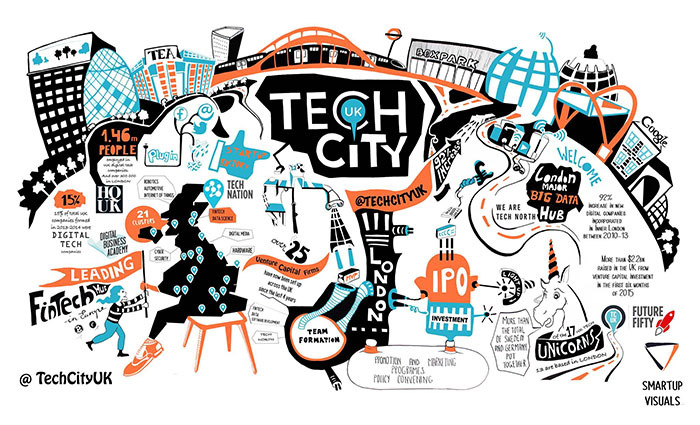 London is one of the world’s leading centres of entrepreneurship, with a unique access to talent, expertise, and capital. There are numerous accelerator programmes within this entrepreneurial ecosystem which provide opportunities for early capital and mentoring for suitable start-up ideas. Our teaching team and mentors have strong connections across this ecosystem and are able to make introductions and provide extensive guidance to our students help them on the start-up journey. The MSc Entrepreneurship is a lifelong community. Our alumni continue to participate in the UCL ecosystem, and increasingly are hiring our graduates. Approaching half of the graduating students will continue to develop their start-up rather than seek employment. However, others will want to secure additional work experience before starting their ventures. Many of our alumni have gone on to build fantastic companies. You can keep up-to-date with activity by keeping an eye on our news pages. Jan Senderek sold his start-up, Loom, to Dropbox; his personal share of the proceeds was over €1m. Marcin Piatkowski raised £160,000 from crowdfunding site Crowdcube to launch his innovative chainless aluminium electric folding Jivr Bike - as reported in media such as The Daily Telegraph and Bike Biz, and his subsequent Kickstarter was oversubscribed by 80%. Alex Siljanovski, Manuel Zapata and Laura Davies launched BaseStone, an integrated platform and mobile app that enables engineers and architects to securely issue, review and manage their drawings. BaseStone is rapidly receiving a huge amount of interest and a number of awards within the construction industry, is working with the world’s leading construction businesses and has secured $700k in investment so far. Rodrigo Martinez founded WePow and has grown the business hugely, raising over $5m in investment. Joyce and Raissa Haas founded Double Dutch Drinks, which is growing rapidly, and recently won Richard Branson’s foodpreneur awards. Karoline Gross founded the adtech company Smartzer and raised a $400k seed round to grow the business just after graduation. Paul Varga and Tolulope Ogunsina founded Playbrush and conducted a successful Kickstarter campaign for Christmas 2015. Michael Langguth and Oyvind Henriksen founded Poq Studio and recently raised $500k in crowdfunded equity to fuel its growth. In total there are now more than 600 alumni from the MSc Entrepreneurship programme. We are also very proud of those graduates who have gone on to exciting careers, using the innovation skills they have gained to make a difference for the organisations where they work. In particular, we have begun to see alumni take on vital positions within the London tech entrepreneurship ecosystem, supporting other start-ups: Magdalena Kron at the Barclays Techstars accelerator, Nick Slater at Capital List, Markus Gnirck and Cilia Li at Start-upbootcamp Fintech. Other alumni work at tech firms such as Rocket Internet, Skimlinks, Justpark, Give Truly, Movinga, Apppli, Tradedoubler, Pager, Snip and Share, Dropbox, Webgains, and Amazon. Other MSc Entrepreneurship graduates are employed at: Accenture Consulting and Technology, AIG, Astbury Marsden Consultants, Barclays Capital, BHP Billiton, Bloomberg Business & Financial News, BNY Mellon Banking, Boston Consulting Group, CHP Consulting, CITIC Group, Creative Consulting, Deloitte Consulting & Corporate Finance, E-Synergy, EDF Trading, Elexon, Ernst & Young, Evian, Fonterra, France Telecom (Orange), GreySpark Partners, IBM, KPMG, Lighthouse Analyst Relations, Novartis Pharmaceuticals, NTT Communications, Omnicom, Pegatron, Pepsico, Poten & Partners, PwC, Saatchi & Saatchi, Schneider Trading, SKIM Healthcare, TNS Global Market Research, UBS, Volkswagen Group, Wonder Auto Technology, ZenithOptimedia Investment Marketing. As an MSc Entrepreneurship student, you will have access to a bespoke Careers and Employer Engagement programme and a dedicated careers team who will help you present yourself to graduate employers with confidence, should you wish. For further information on the Careers provision for UCL School of Management, please see our Careers page. In addition to the bespoke activities within the School of Management, you also have access to the central UCL Careers provision. What are the term dates for 2019-2020? Please see UCL term dates, noting the term date exceptions which apply to Postgraduate students. I am an international student, how can I find out what the degree equivalency is for my home institution? Please see international Students qualification equivalents. I am currently studying and do not have my final results yet, should I wait to receive my transcript before applying? If your predicted final results meet our minimum entry requirements, you can apply before receiving your final degree results. You should include details of your predicted results on your application form, and an official transcript of your results so far. If we are able to make you an offer of study, it will be conditional and you will need to prove that you meet the condition before the beginning of the course. Applications for September 2019 are now open. Applications will close on the 14th June 2019 (we may close earlier than this if we are full, so an early application is advised). Applications are made via this link. How can I get help with the online application form? Personal statements should be no longer than 1,500 words and should outline your suitability for the course, entrepreneurial experience, and ambitions, in a clear and succinct manner. Most applicants tend to write 1.5 to 2 pages of A4. Further details can be found here. Do I need technical skills, such as coding, to undertake this course? No. For full details of the admissions requirements, see Student Profile, above. Students with a business background are considered on the basis of their demonstrated entrepreneurial capabilities. I come from a family with a successful business and I want to take over running the business in future. Is this course suitable for me? The course, its modules and the dissertation project, are specially focused on developing a new startup venture, using lean tools such as a minimum viable product, prototyping and startup marketing. Therefore, although the skills we teach are valuable in any 21st century career, normally we do not advise students whose ambitions are to take up a management role in an existing family business to apply. How many referees do I have to provide and can they be employers as well as academic referees. Two referees - ideally one should be academic and the other professional. However, if it has been some years since you have studied, you can provide two professional referees instead. My referees are unable to provide references electronically; can I provide hard copy reference letters? Yes, you can post hard copies to the UCL Admissions Office. These will then be attached to your application form. Please make sure the course and your application number are clearly stated. The course lasts for a full calendar year from September to September. Teaching finishes at the end of Term Two, allowing students to prepare for exams and the dissertation project. Can you send me an application form for the programme? UCL does not accept paper applications. Yes, you can study over two years part-time rather than one year full-time. Part-time study is an increasingly popular option. Where can I find out about UCL accommodation? Please see student accommodation for details of accommodation available at UCL. Can I obtain a scholarship, assistantship or some other form of funding? What are the language requirements for the programme? We strictly adhere to UCL’s English Language Proficiency Requirements for postgraduate programmes, which are evaluated by UCL Registry and Academic Services (see above). My application has been unsuccessful. Can I find out why and request to be reconsidered? Unfortunately we are unable to give details as to why individual applications have been unsuccessful. We cannot reconsider decisions due to the high volume of applications. Will you be running open events? Can I meet with faculty before I apply?